The field of nanomedicine offers great potential to revolutionize clinical care, including medical devices, regenerative medicine, and molecular imaging approaches. Recent advancements in nanofabrication applied to biocompatible materials lay the groundwork for creating biologic interfaces with a high level of control at the molecular scale. These subtle interactions with cell and tissue assemblies can modulate properties such as mechanotransduction, adhesion, and immune activation. Nanostructured biomaterials may offer potential advantages over conventional drug delivery strategies by enhancing molecular transport and uptake. In this talk, Dr. Desai will discuss our recent work in developing nanostructured materials for protein and cell-based delivery as well as injectable micro/nanoscale materials for the modulation of fibrosis and immune activation. By gaining a better understanding of how small scale topographies can influence the biological microenvironment, we can design platforms for applications in therapeutic delivery and tissue regeneration. Tejal Desai is the Ernest L Prien Endowed Professor and Chair of the Dept of Bioengineering & Therapeutic Sciences, Schools of Pharmacy and Medicine at UC, San Francisco (UCSF), director of the NIH training grant for the Joint Graduate Program in Bioengineering at the UC, Berkeley (UCB) and UCSF, and founding director of the UCSF/UC Berkeley Masters Program in Translational Medicine. She was recently named the Inaugural Director of the UCSF Engineering and Applied Sciences Initiative known as HIVE (Health Innovation Via Engineering). 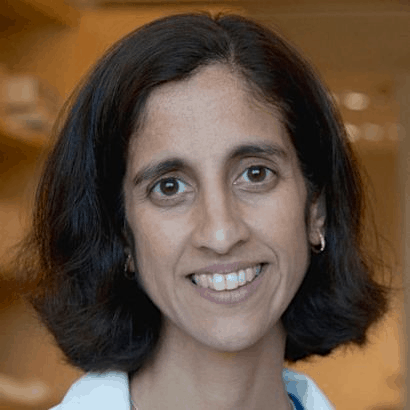 Desai’s research spans multiple disciplines including materials engineering, cell biology, tissue engineering, and pharmacological delivery systems to address issues concerning disease and clinical translation. She has published over 200 peer-reviewed articles. Her research efforts have earned recognition including Technology Review’s “Top 100 Young Innovators,” Popular Science’s Brilliant 10, and NSF’s New Century Scholar. She is Chair of the American Institute for Medical and Biological Engineering College of Fellows. In 2015, she was elected to the National Academy of Medicine. She received her B.S. from Brown University in biomedical engineering and was awarded a Ph.D. in bioengineering jointly from UCSF and UCB.